Football fever hit England this summer as the national team advances further than anyone could have expected in this years FIFA World Cup. 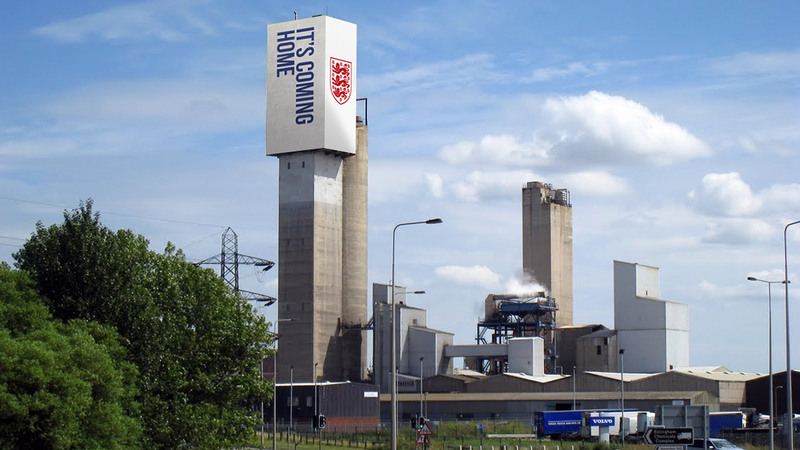 In a quick break from a coding project I decided to use Photoshop to give a local landmark a patriotic makeover. I used to drive past the old ICI Nitram Tower on my commute to my first design job and often thought it had a lot of potential as a canvas for a local artist. It’s amazing how quickly word gets around due to social media. The day after posting the design on my Facebook page I was messaged by several friends to inform me it had make the local pater. You can read the article on Teesside Live.